Voters across the Oklahoma City metroplex will be engaged in votes in the coming months. The first of these elections will be Tuesday, February 12. Because not every municipality or ward will have a race, please go to the Oklahoma, Canadian and Cleveland County election board websites to check if you live in an area where there is an election. Remember, Oklahoma state law requires proof of identity to vote. Acceptable forms of ID are a voter ID card, driver’s license or another form of ID issued by the federal government, state government or federally recognized tribal government. Voters may also cast a provisional ballot by proving their identity with a signed, affidavit, which is available at the polling station. The deadline to request an absentee ballot for the primary election is 5 p.m. Feb. 6. Apply for an absentee ballot or download an absentee ballot request form. Regular voting is 7 a.m. to 7 p.m. on February 12 at your usual polling location. David brings 40 years of accounting experience to the council. 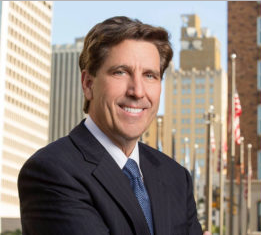 During his eight years, he has been instrumental in helping different levels of government work together for the betterment of Oklahoma City and south Oklahoma City. He has been a staunch advocate for developers and home builders while also focusing on improving street infrastructure. 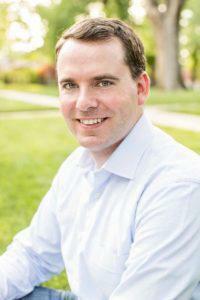 David has been supported in his two previous elections by OKCMAR RPAC. You can find more at DavidGreenwell.com. Having served on the MAPS 3 Citizen Advisory Committee, Nathaniel has already demonstrated his skills at bringing disparate parts of our community together. Nathaniel is a strong proponent of mixed-use developments and mixed-income housing in the city’s core. As an appointee to the governor’s workforce development task force, he fully understands the important role housing plays in economic development. You can find more at HardingForOKC.com. Mark is the current vice-mayor. He brings much needed experience during a time of transition at the city as we are seeing new city councilors, a mayor in office for less than a year, and the retirement of Jim Couch. Mark has been a strong advocate of streamlining home development and has focused on improving public safety response times by working to put more police officers and firefighters on the streets. Mark has been endorsed by Mayor David Holt and former mayors Mick Cornett and Ron Norick. Mark has been supported by OKCMAR RPAC in his previous elections. You can find more at CheckMarkStonecipher.com.